In my artefacts lecture today we had a visit from Bill Sillar. He enlightened us on the origins for the design of the red UK phone box (among many other things). 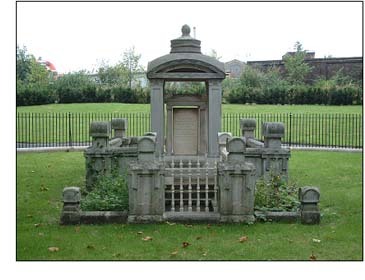 Giles Gilbert Scott based it on the John Soane Mausoleum in St Pancras Old Churchyard. As a class we recently visited LARC where the original architectual model for the red phone box is kept. It’s about 1 metre in height. Annoyingly I didn’t take a camera.